Jock Paget and Clifton Promise at Burghley in 2013. What a nightmare for Jock Paget and Kevin McNab. For the last 10 months they have lived under a cloud, accused of doping their horses at Burghley with reserpine. Their exoneration this week must have come as a huge relief to the two, but living under suspicion for such a long time wreaked havoc on their reputations and livelihood. 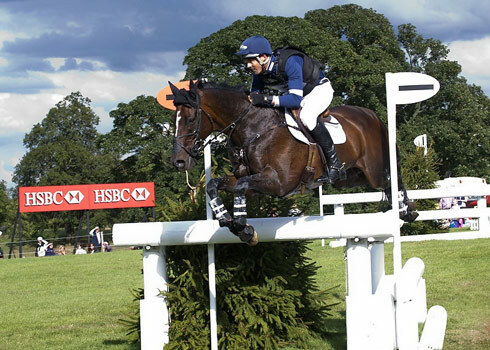 On October 15, 2013, Horse & Hound reported that Jock Paget’s Badminton & Burghley winner, Clifton Promise, tested positive for a Reserpine, a prohibited substance following his Burghley win in early September. As a result of that finding, Jock and Promise were suspended from all national and international competitions for two months, beginning immediately. Clifton Pinot, ridden by Australian eventer Kevin McNab, also tested positive for reserpine at Burghley and were also suspended for two months. On April 23rd, 2014 the FEI Tribunal officially disqualified Padget from Burghley after Clifton Promise’s “B” sample also tested positive for reserpine. On August 7th, 2014 the FEI tribunal cleared Paget and McNab of all doping charges, completely exonerating the two riders after determining that a number of bottles of the supplement LesstressE were contaminated with reserpine during the manufacturing process, becoming the unintentional mode of delivery. Paget and McNab were still disqualified from the 2013 Burghley and Paget’s win was not reinstated because both horses had reserpine in their systems, but neither will be subjected to additional fines or suspensions. “I feel as though I had my career stripped from me and now someone has said ‘hang on, you can have it back’. It is complete relief,” he said.